It seems simple, right? Take a shower and wash your hair daily. Wrong! Washing your hair may seem like a simple task, but you would be surprised how many people are doing it wrong. Washing your hair incorrectly can lead to scalp irritation, dandruff, and other scalp issues. How often someone decides to wash their hair is a personal choice, although a standard can be set according to one’s lifestyle and hair type. I wash my hair with shampoo once every two weeks and co-wash weekly just to refresh my strands. I can do that because of the products I use and my lifestyle, but that can change with changes in my habits too. Certain hair types and textures only require washing once a week, while others feel best when washed 2-3 times a week. With this hair type, shampooing can be the last thing on your mind, since you need to wash your hair no more than once a week, or once every 2-3 weeks if your hair does not feel dirty. Daily washing is a bad idea as this would be too drying for your hair. To refresh in between washes, try co-washing your hair with water and conditioner, or water wash. Water washing means that you massage your scalp using just water, no shampoo, cleanser or conditioner. Some people do this in between their co-washes and shampoos. You can afford to shampoo once a week. If you skip a day or two, no need to worry because your curls will look great with a little refreshing. Curls can work well when they have a small amount of oil in them. If you work out frequently, you may need to co-wash in between shampoos. You can also water wash between co-washes. With a fine texture, by the evening your hair may seem oily, especially when you use styling products daily. Depending on your scalp, you may find that co-washing makes your hair appear oily the first few times you do it. Experiment with co-washing over time, you may find that the oiliness subsides. 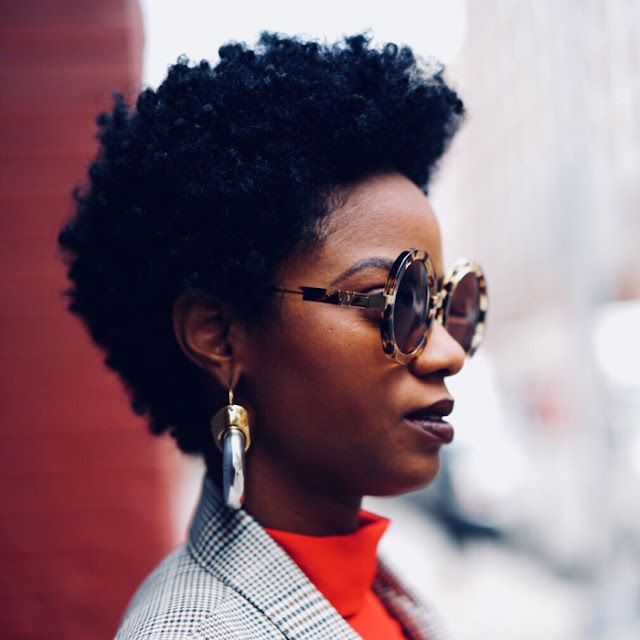 If you find that it’s not for you, try to prolong the length of time between shampoos by using dry shampoos or sticking to light stylers and refreshing with water rather than a product. At the very least, cut down on daily shampoos and minimize your wash days to once every 2-3 days. Of course, your hair type is not the only contributing factor to how often you should wash your hair. For example, your porosity and your city’s water qualities will also affect what might be best. No, washing weekly is not necessary for everyone. That weekly standard is for people who find it fits into their lifestyle. Here are three easy rules to guide you towards a wash day decision. There is no need for a wash day schedule just because we are used to one. Wash your hair when it is dirty and that can be anywhere from 1-3 weeks for some, although for many two weeks are just fine when you have coily hair. “Washing” means cleansing with a shampoo or cleansing conditioner, not just re-wetting hair and running conditioner through it. Many run conditioner through their hair just to refresh it and to keep it going until cleansing is necessary. Some months may require more washing (when you are working out more, swimming, etc. ), so do not feel the need to stick to a wash schedule if it does not work for you. Buildup is not always dirt. Oftentimes it is product buildup. Just like putting hair in twists the day before wash day, I do something similar when I use silicones. I know it will cause buildup by day two, so I do not use it until it is time for me to wash my hair. I don't want to walk around with buildup for a week so I schedule certain hairstyles according to my wash schedule. The best way to determine if two weeks would be a better fit for you is to try it. If washing weekly is just too much then stop and go longer like a week and a half or two weeks. Going longer than that may be such a great idea but know that just because you are not washing so often does not mean you cannot wet your hair and keep it moisturized. Do not lock yourself into a regimen out of habit but more out of a fit into your life. If your hair is not dirty, go an extra week and see how it fares.